Being an older gamer has its advantages. We have seen the patterns which many developers and producers have taken over the years, we’ve been able to watch the industry change from simple 2D graphics to often mind-blowing 3D – and all this helps us not take the current gaming world for granted. Those of us around for the first days of the internet remember just how limited early offerings from a wide range of gaming industries were, yet many underestimate just how consistent and influential online casinos have been since even these earliest of days. 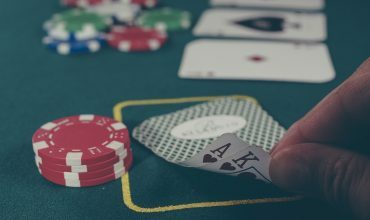 With that in mind, we want to take a look at just one aspect of the online casino game, the bonuses, and examine how these evolved alongside computer and gaming technology and greater internet adoption to the point where they sit today. Getting flashbacks to that hideously beautiful whine of a dial-up modem? Sorry about that. When the internet first came about, we didn’t have a lot of choices when it came to what was on offer, which makes total sense considering just how limited the processing power and bandwidth was at the time. Long before the era of online consoles, we still had online PC gaming, but the offerings here weren’t exactly profound. Among the ASCII and MUD crowd there were also casino games. Like chess, checkers, hearts, or board games, these were special in that the enjoyment came not from flashy graphics, but the classic nature of the base gameplay. At this point the competition was so lacking that bonuses were not even necessary, as merely existing as an online function was revolutionary enough to draw many of us in. As the internet entered mainstream adoption towards the turn of the new millennium, gaming competition – not just among casinos but with traditional games – meant that standing out among the crowd required something special. Of course, while the online casino industry was still very profitable at this time, many were not aware of its existence. This meant that drawing in players would require something which everybody understood, even those unfamiliar with the industry. Thus the earliest bonus efforts were offerings of free chips and spins. Everybody understood what this meant, and the allure which this represented was often far too enticing to pass up. In a way, this could be seen as similar to traditional video game demos like shareware. These offered a taste for free, with a greater investment required for those who wanted more. Once we entered the new millennium proper, everybody in every facet of the gaming industry understood that online was going to be huge. With an entirely new world of opportunities now available from which to profit, we saw an enormous jump in developers attempting to adopt online facets of gaming. When it came to the internet casino industry, this meant more competition than ever before. Rather than just giving free spins then, they had to evolve to a point where free spins would only be the appetizer. The main-course, so to speak, would come in the form of deposit bonuses. Now, after a player had a taste of free demo play, they could get even more free enjoyment through online casinos adding into their account alongside the customer. When a player deposited $20, for example, the casino could match that in credit, or even exceed it with occasions like 200% deposit matches. Today, we can see this in mainstream gaming when it comes to premium currencies. Higher deposits in these currencies will often net higher bonus returns, the creation of which owes itself in so small part to the precedent set by online casino services. Again, just as with traditional gaming, online casinos would go on to create enormous levels of surrounding infrastructure both within and surrounding the industry. Outside of the industry, this has come in the form of websites which help players find online casino games and websites to decide their starting point. Within the industry, this often takes the shape of what we now call gamification systems. These systems cover the wider websites or systems and can unlock bonuses in tiers or additional opportunities based on the amount of money, time, or effort which has been put in by players, thus rewarding their accomplishments in a new way. Now common among the big-boys of Google Play and Steam, gamification systems such as achievements seem to indicate the way which many others will head in the future. When it comes to the next stage of casino bonuses, well, this remains difficult to predict. Just as traditional video gaming systems have borrowed from the progress of online casinos, so too are modern online casinos borrowing from traditional video gaming systems. This means that the next level could come from either of avenues, or even newer viabilities like AR and VR tech. Whatever the case, it’s good to see that both these industries are open enough to learn from the lessons of others and we hope that means they can also learn from each other’s mistakes. Written by: Infendo on November 25, 2018.